The number of zebra mussels on boats at Gimli Harbour is “astounding,” says Dean Thorkelsson, the owner of Lake Agassiz Marine. The number of zebra mussels on boats at Gimli Harbour is "astounding," says Dean Thorkelsson, the owner of Lake Agassiz Marine. The invasive species is so prolific that when Thorkelsson's boat-hauling company pulls vessels out of the water, a crowd gathers to see how many shells are attached, he said. "I would say I've seen millions of zebra mussels at this point," he said. "It's going to get worse." The invasive species was first spotted in Lake Winnipeg in October 2013. After treating four major harbours with potash, including Gimli, the province believed it had eradicated the shellfish, but it's clear to those who have seen shell-encrusted boats that the efforts were unsuccessful. 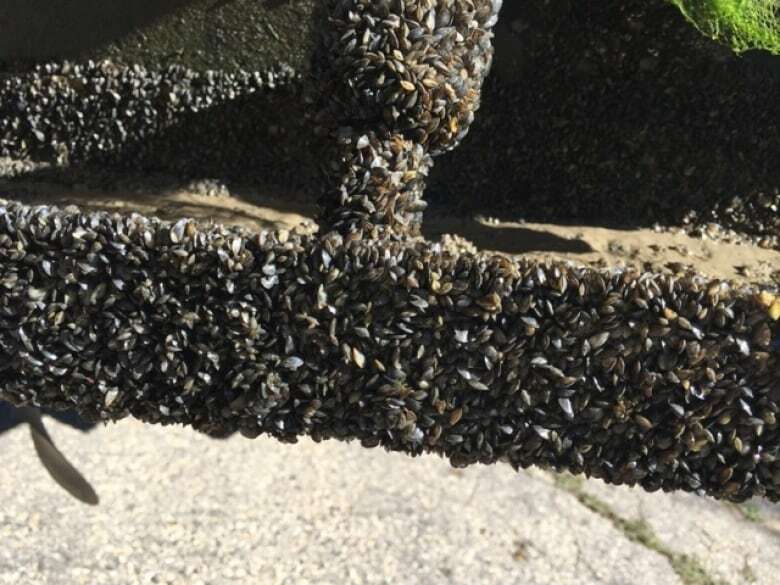 Zebra mussels are now considered a "significant environmental and economic concern to Manitoba," a provincial government website says. The vast majority of mussels seen at Gimli Harbour are babies, said Thorkelsson, with shells about one-quarter the size of a piece of rice. That makes them easier to clean off the hulls, he said. "It seems a power washer is taking the young zebra mussels off not too badly." But Thorkelsson is concerned it may require a scraper or even a chisel to remove the shells from boats as the mussels mature and grow. 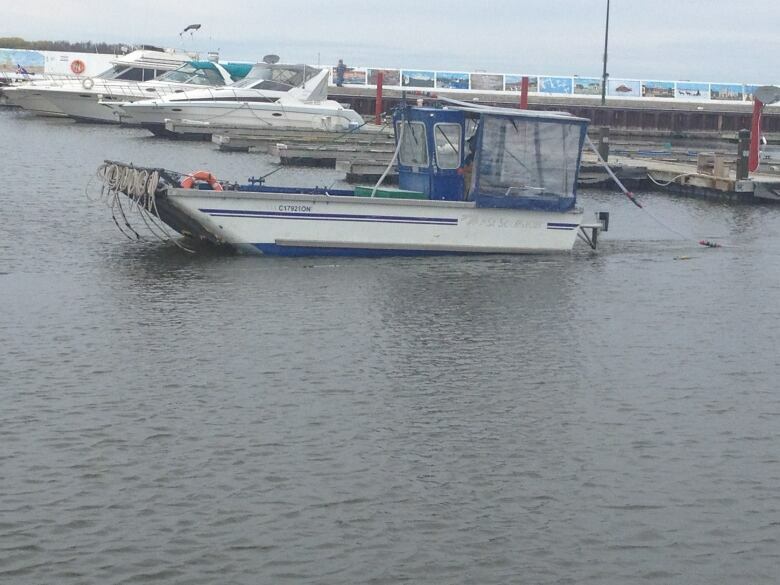 A boat flushes liquid potash into the water at Gimli Harbour in June 2014 in an effort to kill zebra mussels. (Jill Coubrough/CBC)Some boats seem to be evading the mussels, Thorkelsson said. He believes the commonality are these boats are coated with anti-fouling paint. The product is designed to repel shellfish and algae, and is widely available in Manitoba. 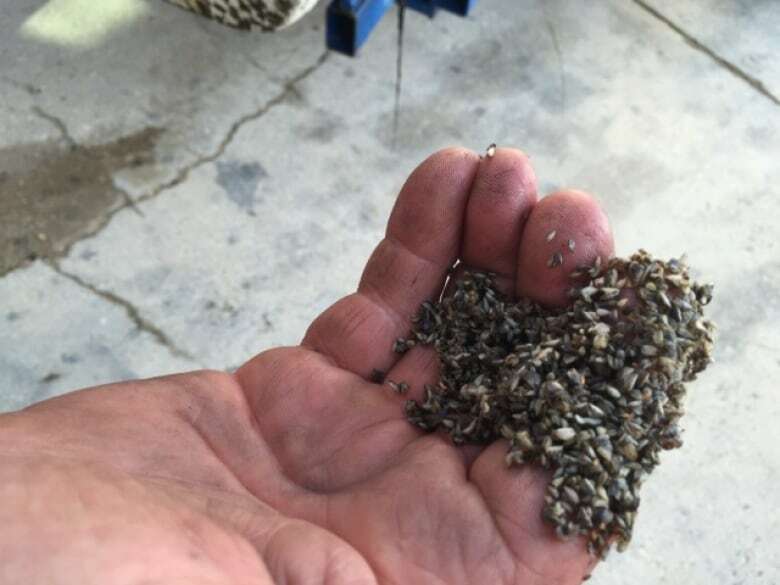 If people are not proactive, the zebra mussels could start costing boat owners a great deal of money on fuel and engine repairs, Thorkelsson said. The provincial government confirms there is a significant increase in the number of zebra mussels in Lake Winnipeg's south basin. Conservation and Water Stewardship Minister Tom Nevakshanoff told CBC News the key to addressing the problem is preventing the mussels from spreading to other waterways. Nevakshanoff said its the responsibility of the public and boat owners to keep their boats clean or use a decontamination unit at harbours throughout the province.